Christina Dancy (Diversity Leadership Fellowship 2017) has been named as Assistant Vice President and BankCentre Leader at Midwest BankCentre. Catherine Gilbert (Coro Fellows 2014) is now Project Manager at PGAV Planners. Cami Kasmerchak is now Impact Coordinator for the Recovery Cafe Network. Vin Ko (Emerging Leaders 2015) was recently interviewed for an article in Southwest: The Magazine. Valerie Patton (Coro Women In Leadership 1990 & Leadership St. Louis 1993) was recognized with a proclamation from the City of St. Louis for her work with the St. Louis Regional Chamber and St. Louis Business Diversity Initiative. Jorge Riopedre (Leadership St. Louis 2009) received the 2018 Ethics in Action Award from the Ethical Society of St. Louis. Crystal Ross-Smith (Coro Women In Leadership 1999) was promoted to Director, Diversity & Inclusion, at Ameren. 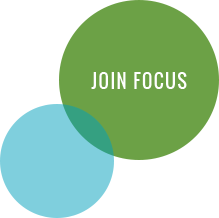 Are you a FOCUS alum who’s recently been recognized or promoted? Share your news!